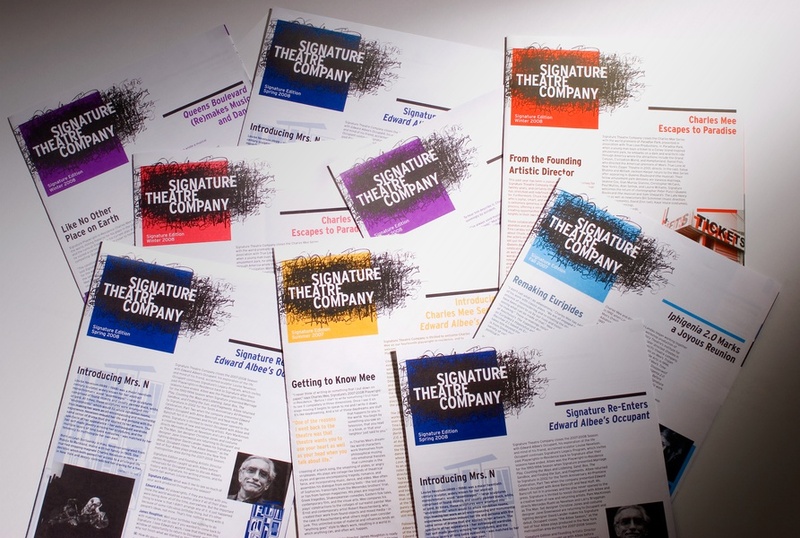 Signature Theatre Company is unique among New York’s theatrical offerings: each season is dedicated to a single living playwright which results in the rare opportunity to experience performances derived from a writer’s direct involvement in the artistic production of a play. 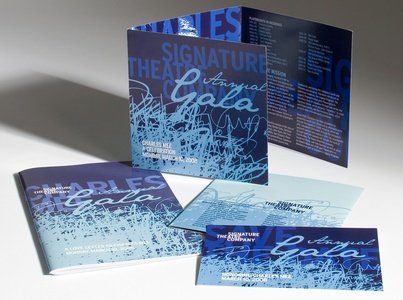 The challenge in designing a comprehensive visual language for such a pure theatrical experience was to create an image able to serve as a vessel for an evolving series of diverse voices and visions. 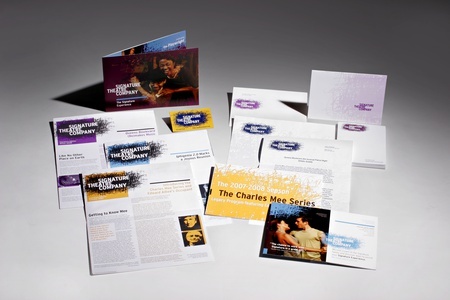 For the 2007-2008 season, CGP conceived and launched a visual identity system constructed by layering the handwritten signatures of the theatre's entire history of Playwrights-in-Residence. The theatre name is reversed out of this cloud of signatures that extend along the edges so as to reveal the names of several recognizable playwrights. The relationship between the logo's elements and the vibrant palette they are depicted in are free to change across applications, creating a truly dynamic identity. The cloud of signatures serves a myriad uses such as a frame, a backdrop, and even a vessel to hold photos or artwork. The repetition of this highly recognizable form allows consistency while remaining appropriate to this living institution.